New appointments… An injection of youth! As part of our investment strategy for the coming year and to assist with the demand we are currently enjoying for our products and services, we are pleased to welcome two new people to the Minoli Team. Joining the warehouse and logistic team in late summer, Matthew previously worked with his father in the family construction business and has joined Minoli working with the team that ensures our client orders are swiftly and accurately picked and prepared for delivery on the Minoli fleet. As Matthew progresses he will receive training to use the material handling machinery within the warehouse, such as the “Dalek” picking trucks and forklifts. We are not quite sure when we will be ready to let him use the very latest machines only delivered this month, but hopefully not too long. Welcome to the team Matthew. 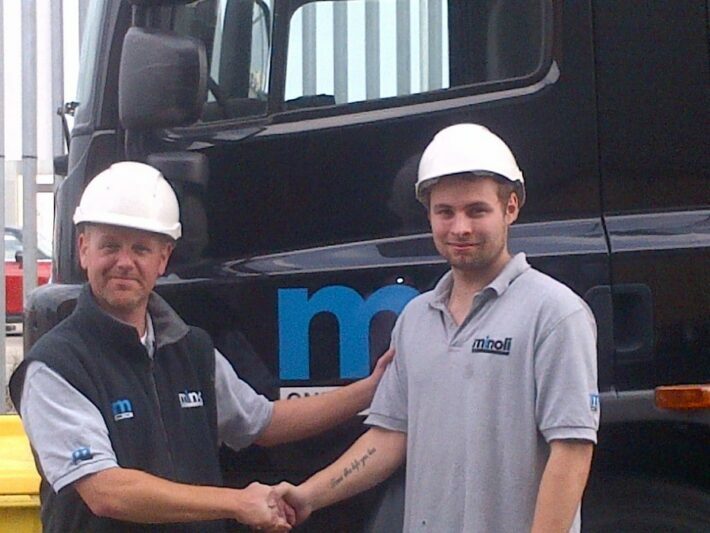 Matthew (Right) with Tony who introduced Matthew to the company and is taking charge of his training. 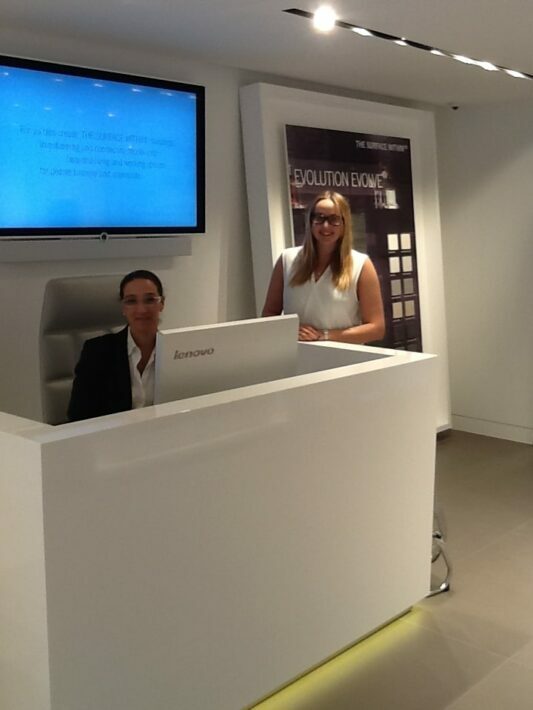 Joining the team within the new London showroom is Megan, straight from her A levels this is Megan’s first full time role and she is relishing the challenge. 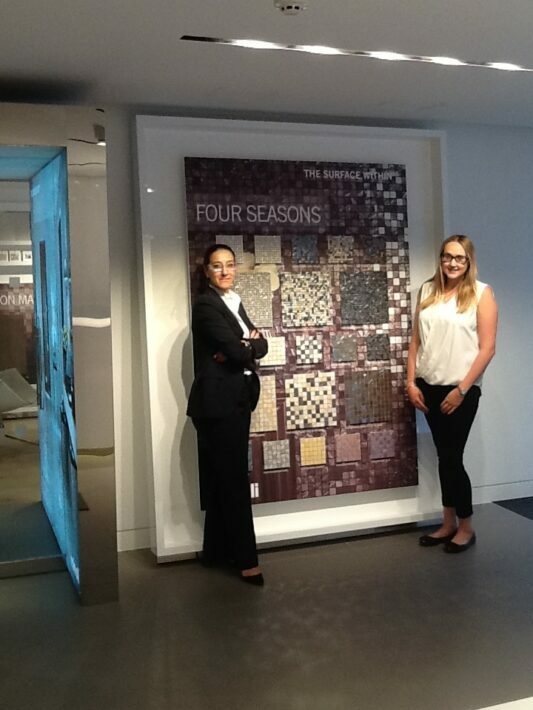 Working with Maria our London showroom manager, Megan will concentrate on customer service and client product selection within the London showroom. Megan has arrived with us just in time to help with the showroom relaunch taking place in mid September, as the new displays are now all completed and the evening event for our corporate clients is just a week away, all very exciting. Welcome to the team Megan and Matthew.